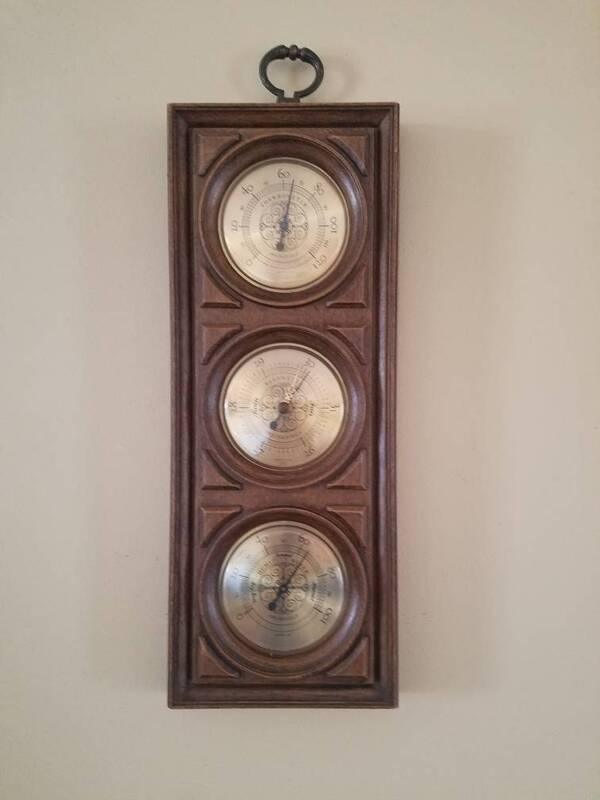 Barometer,thermometer and humidity control circa 1970's in working condition. Not only does it work it makes for fabulous mid century modern design decor. It is brown with gold accents and would be a lovely display piece. It is made of a thick plastic material designed to look like wood. It measures 19" x 7" x 1 3/4"